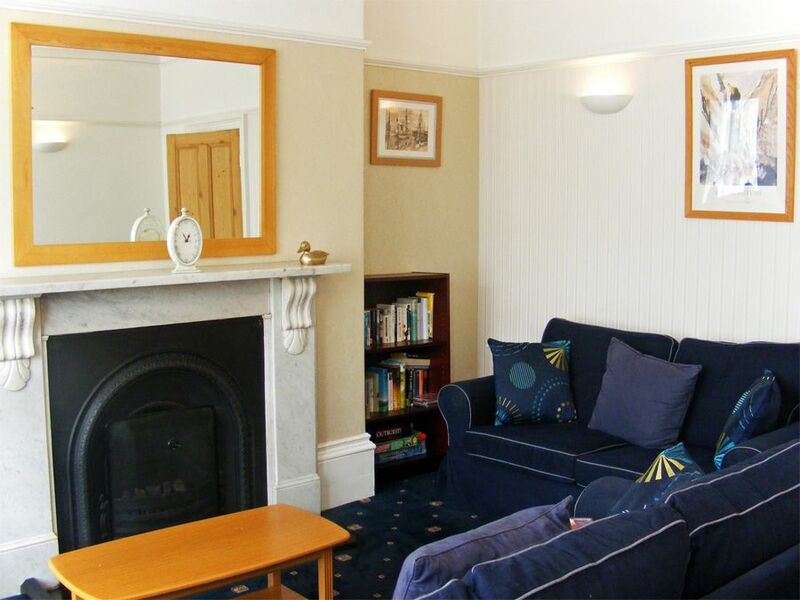 EASTER MONDAY 5 NTS £463 . Sleeps 7 in 4 bedrooms. We enjoyed a lovely family holiday here, it was our second time staying in the property, the first time being 8 years ago. 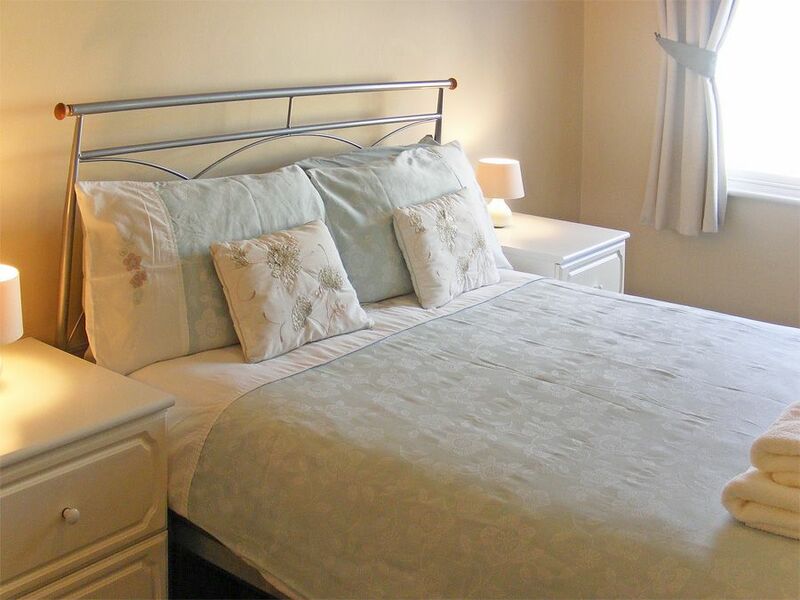 The house has everything you need for your stay and is well presented and clean. 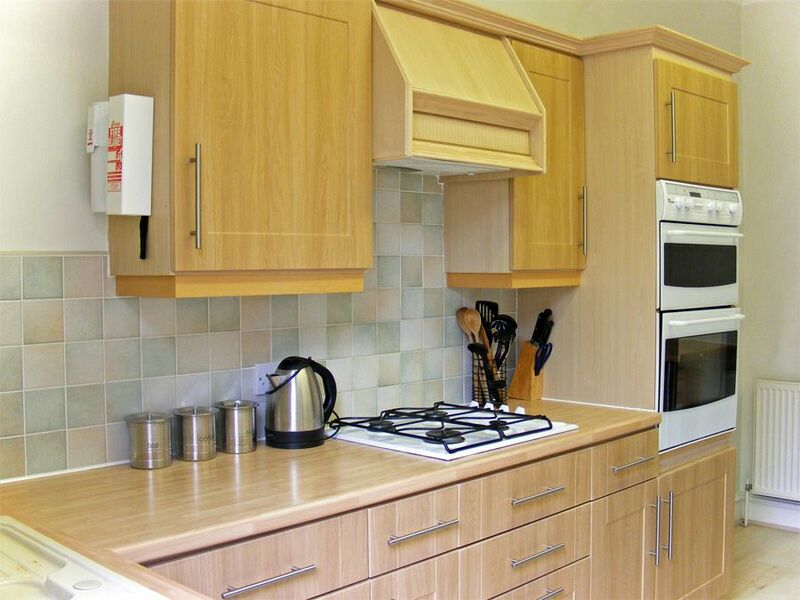 It is in a perfect location with both bays, town and Peasholm park being only a short walk away. There are plenty of take aways and restaurants in the area if you don't fancy cooking and a well stocked Tesco express just opposite. 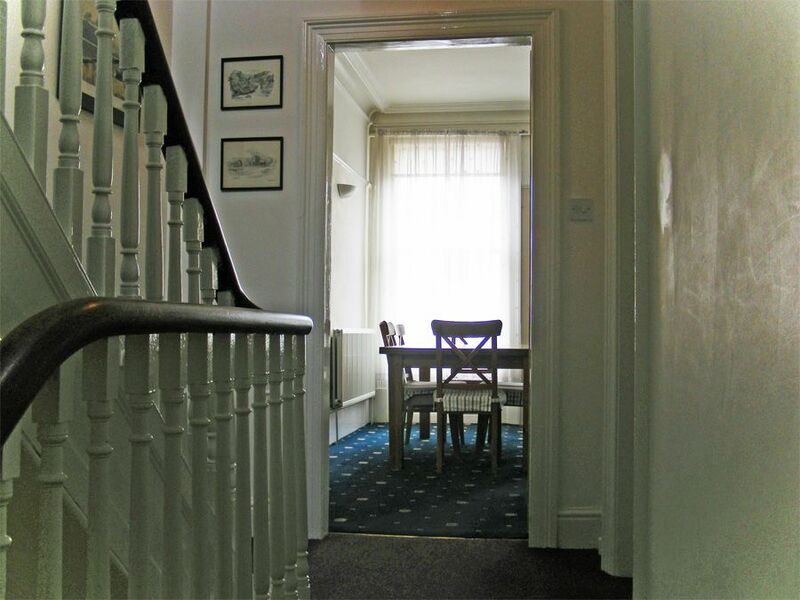 We love Scarborough, the kids are already asking when we can come back and we'd be more than happy to stay in this property again. Thank you for a lovely holiday. Big, high-quality, family-friendly property extending over 3 floors.... furnished, equipped and maintained to an excellent standard. 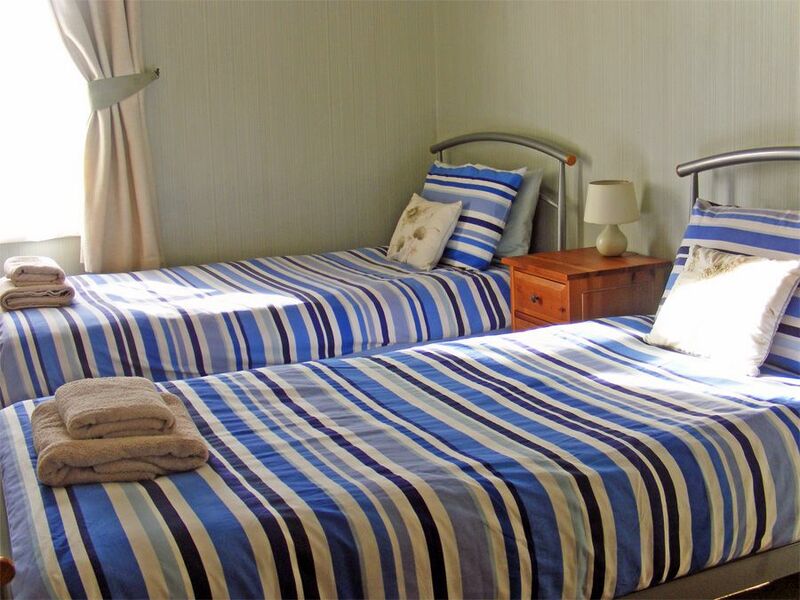 This conveniently located property provides superb self-catering accommodation for one or two families or a multi-generational group. Lots of room to spread out and have your own space. 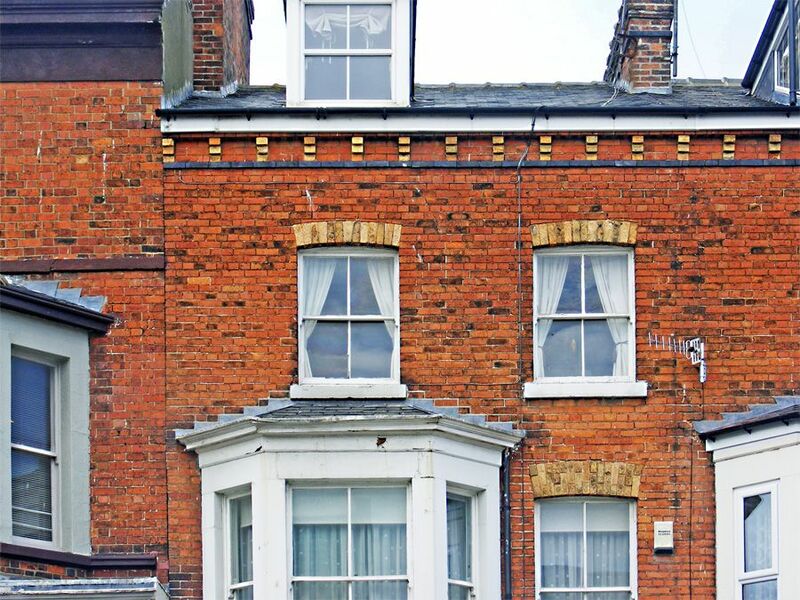 The property has high ceilings and large windows throughout, typical of buildings of this period and although thoroughly modernised it retains some period character including original fireplaces. 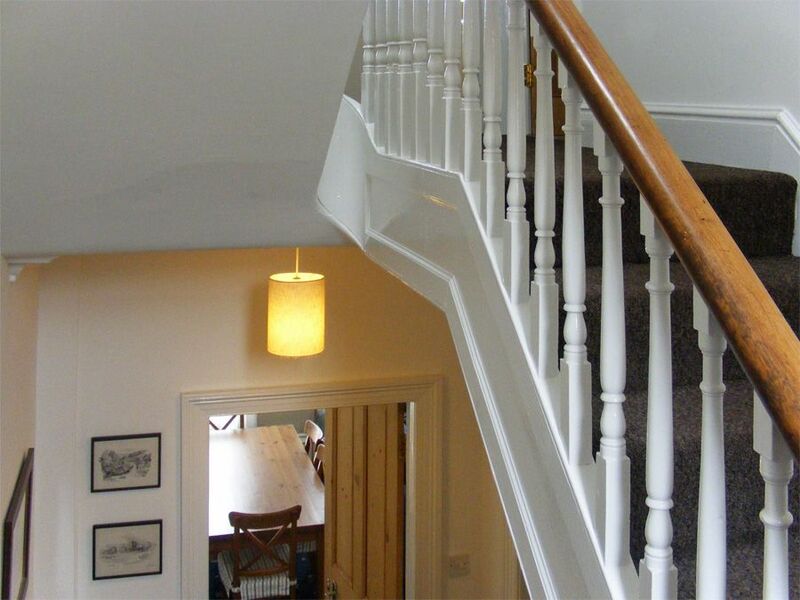 The property has its own private entrance from Castle Road where you access the hall and stairs to the apartment. 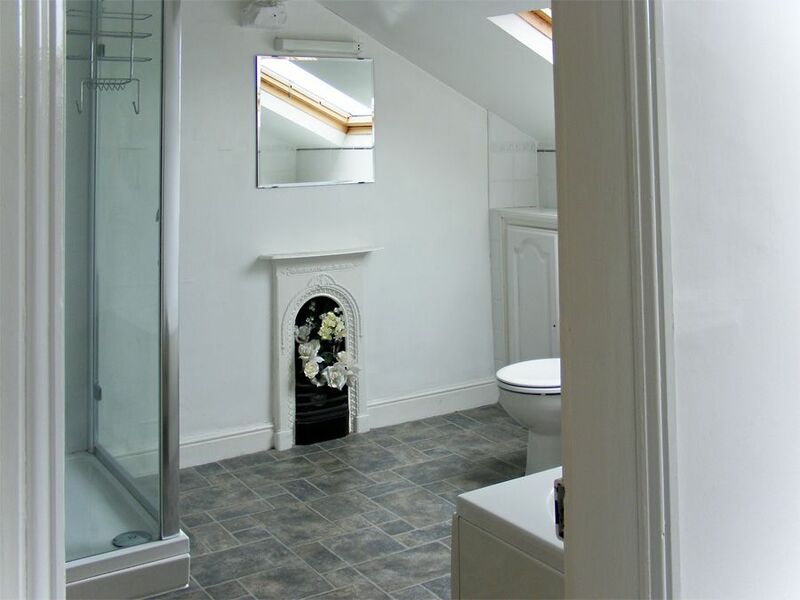 There is a 1/2 landing between the entrance and 1st floor which has a very useful cloak/utility room with washer, dryer, WC and washbasin. Continuing on to the 1st floor you reach the large lounge and the kitchen. 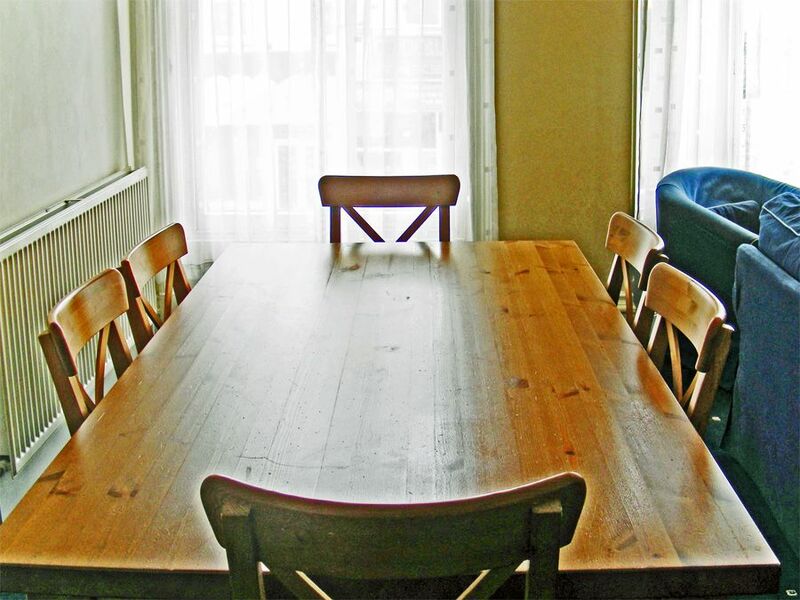 The lounge is comfortably furnished with 2 sofas, chairs, a coffee table, and a large pine dining table. There is TV, DVD and CD/radio, as well as a selection of books. All this adds up to a great space for sitting, relaxing and dining for all guests. 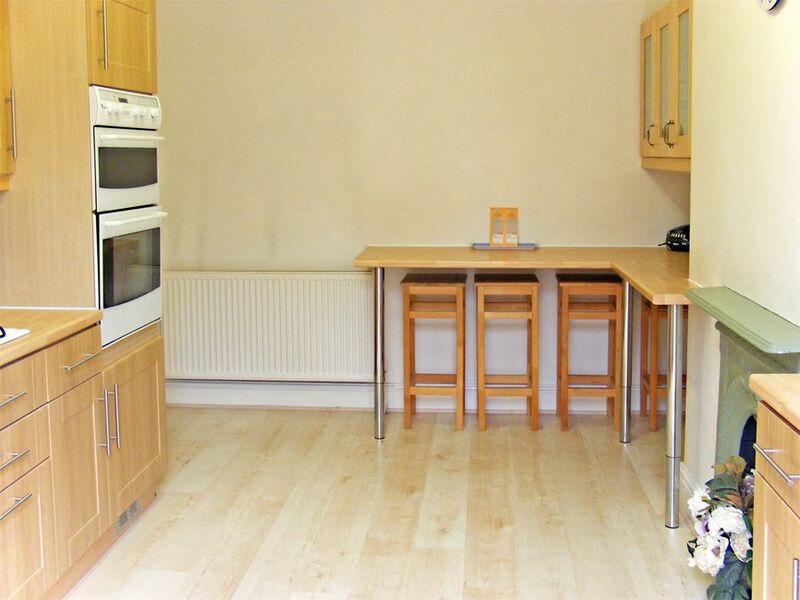 The kitchen is also very spacious. 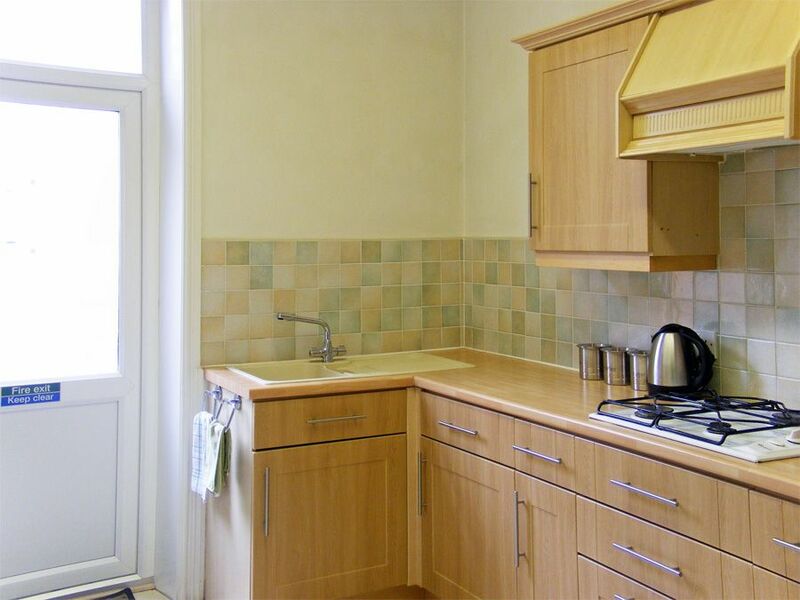 It’s light and airy with modern fitted units and a breakfast bar with 4 stools. 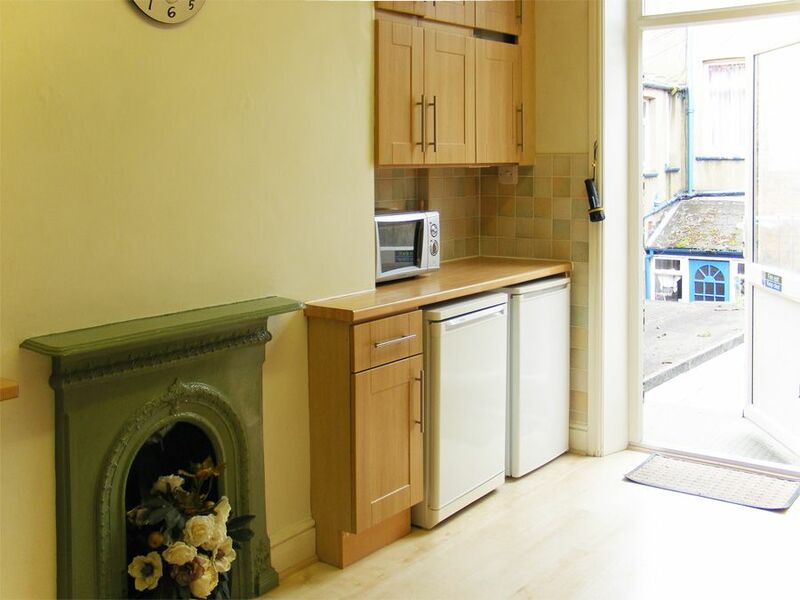 There’s a gas hob, electric oven, fridge & separate freezer as well as microwave and toaster. 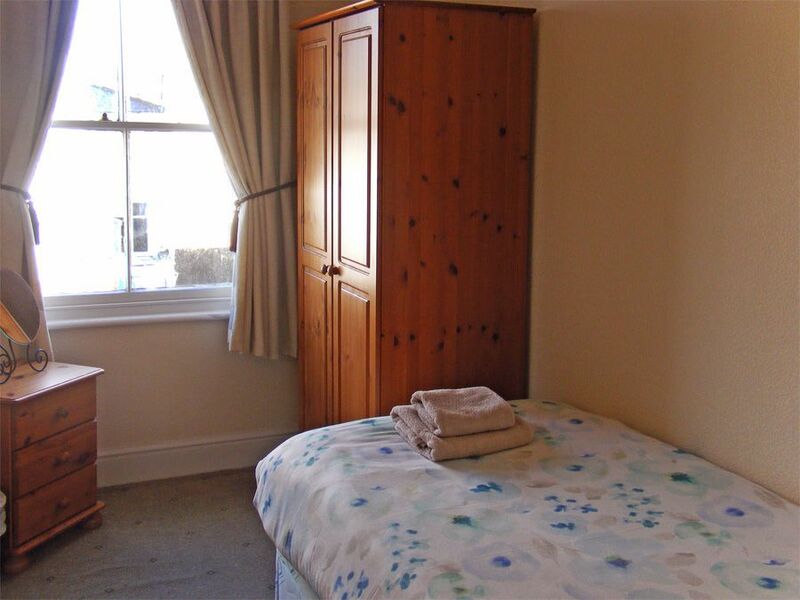 The property has 4 good-sized bedrooms located on 2nd and 3rd floors. 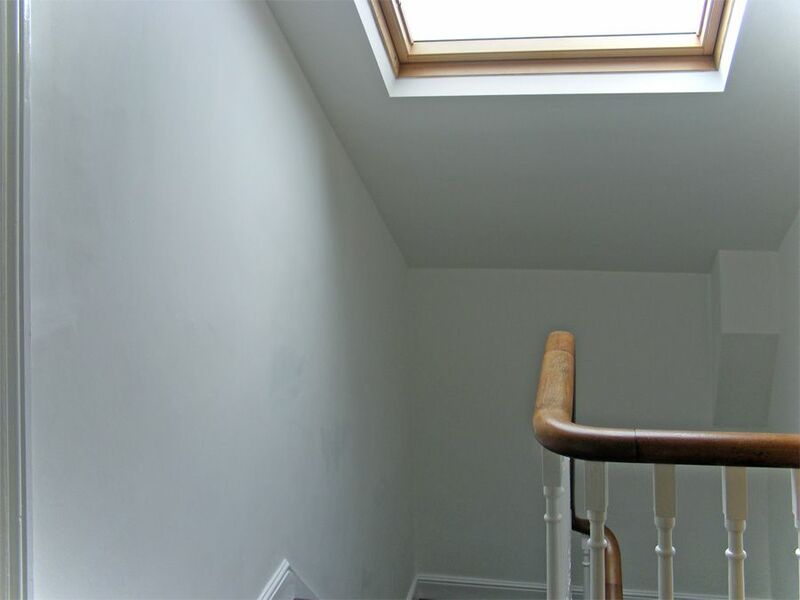 On the 2nd floor is a double, a single and a twin room. The master bedroom on the 3rd floor has a king-sized bed and a flat-screen TV and offers great views across town to the Castle. 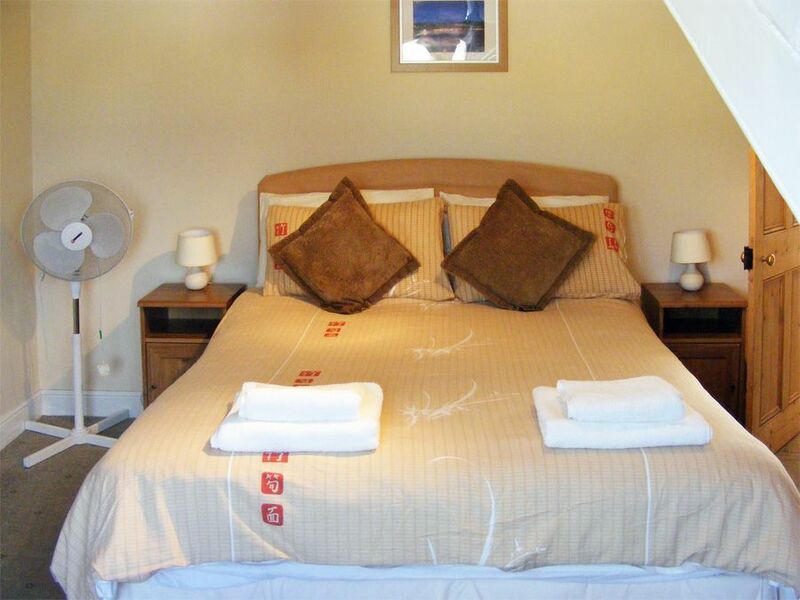 All rooms are tastefully-decorated and well-appointed with plenty of storage and reading lamps. 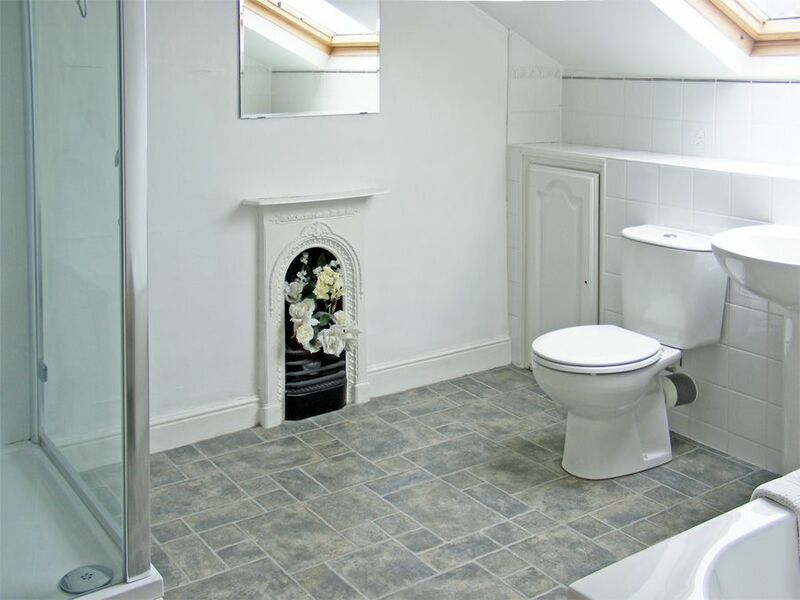 (remember there's another WC and basin in the cloakroom on the lower 1st floor). NOTE: CASTLE VIEW NOW OFFERS FREE WiFi. 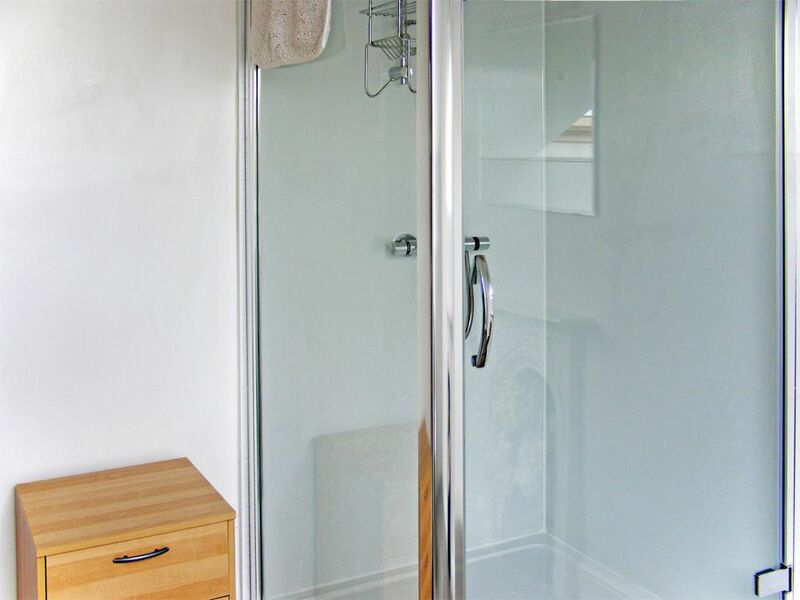 The small enclosed yard to the rear is suitable for drying washing, but not really designed for sitting out. 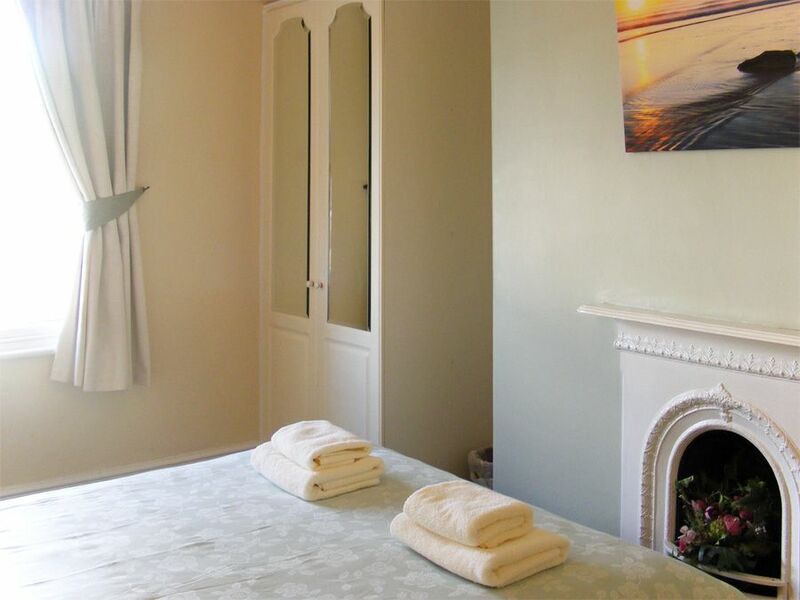 All bed-linen and personal towels provided but please bring your own beach towels. 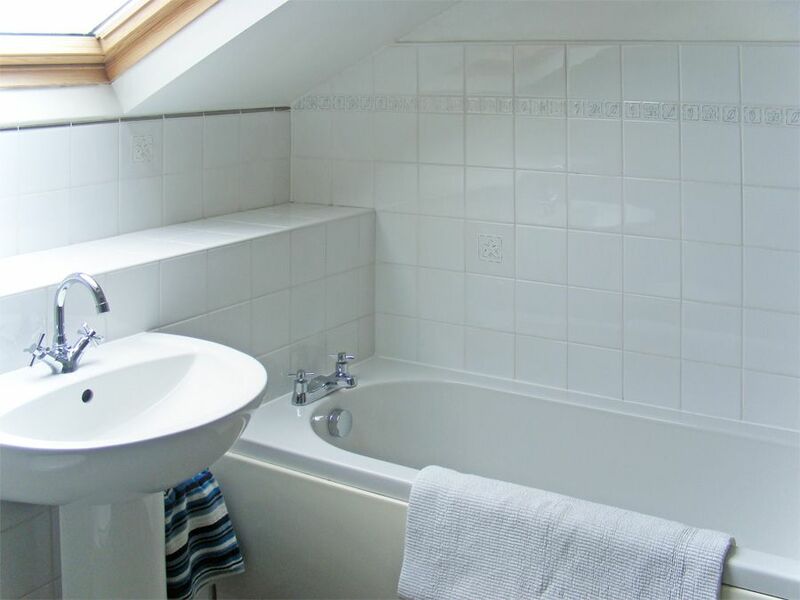 Gas, electricity, heating, hot water are all included in the tariff. A travel cot and high-chair available on request at no extra charge. Free 24-hour parking permits are automatically provided for 1 vehicle to park on nearby streets for the duration of your stay. Permits for a second vehicle will be provided free-of-charge if requested at the time of booking. 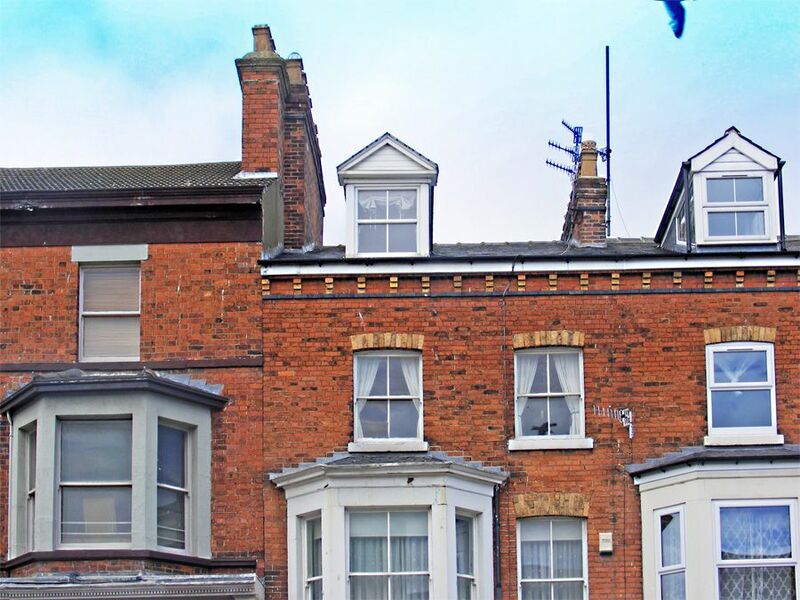 If you are bringing a third vehicle you can use disc-type permits for temporary parking on-street, OR purchase long-stay permits in advance from Scarborough Council on 01723 232323. These can be used in any Long Stay Car Park in the borough. SEE PARKING INFORMATION SHEET. NOTE: you may park directly in front of the property on arrival just to unload/load your vehicle (the ground-floor of this building is a hearing-aid shop belonging to the owner of the holiday property). 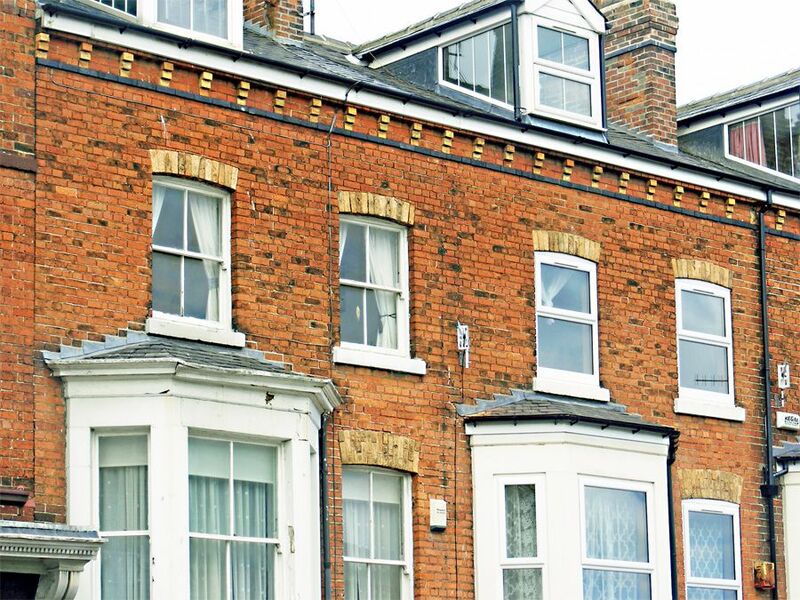 Central Scarborough - convenient for both North and South Bays - close to Town Centre with a fantastic choice of shops, restaurants, cafes and bars. Handy for all amenities and activities Scarborough has to offer. A few hundred yards stroll along Castle Road brings you to Scarborough's wonderful Old Town and St Mary's Church and of course the magnificent 12thC Castle. Walk down through the Old Town and in 10 -15 minutes you'll reach the colourful foreshore and scenic harbour. Whitby is 25 miles North. 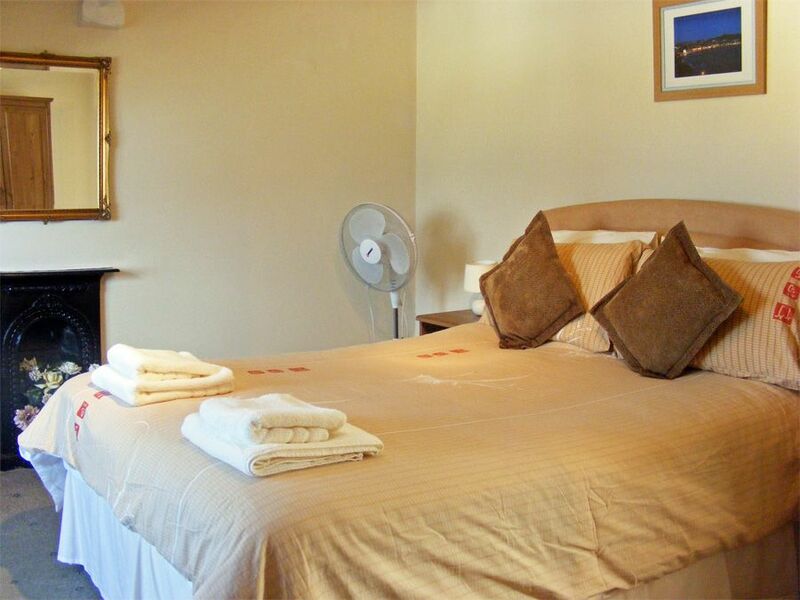 York is only a 45 minute drive away and the glorious North York Moors National Park is a couple of miles inland. NOTE: Castle View is usually closed from early October to the following Easter. 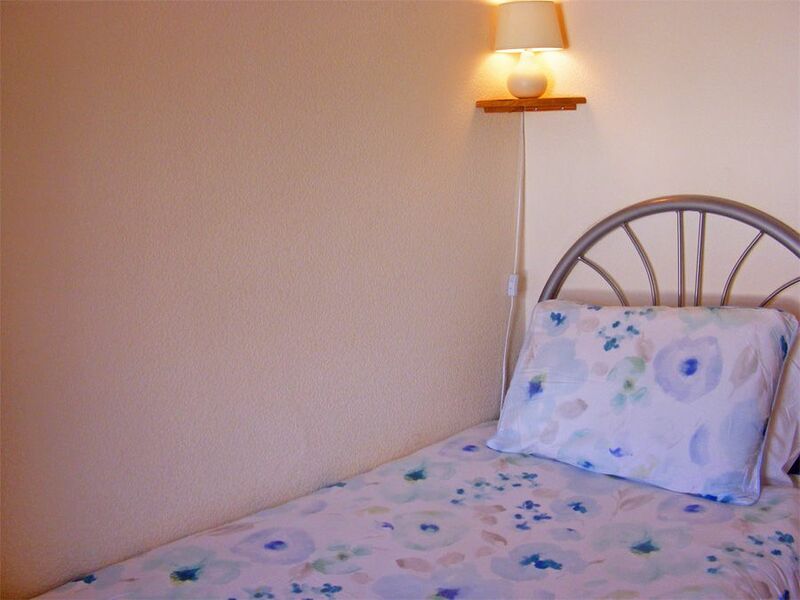 Betty's Plaice - some sea views, near seafront, yard, 3 bedrooms - sleeps 5. Regular guests return again and are entirely satisfied. This is the fourth time we have stayed at Castle View over seven years, so the property is quite familiar to us. It's very spacious (n fact, probably more spacious than our house) and very convenient for North Bay, South Bay and the town. Also very convenient for local shopping and Dominos Pizza! The furnishings were comfortable and it's a real home from home. Was everything perfect? Not everything, we could have done with a potato peeler. But it will remain our first choice when we go back to Scarborough again, and we certainly will be going to Scarborough again. I just wish the property was available in the winter months. 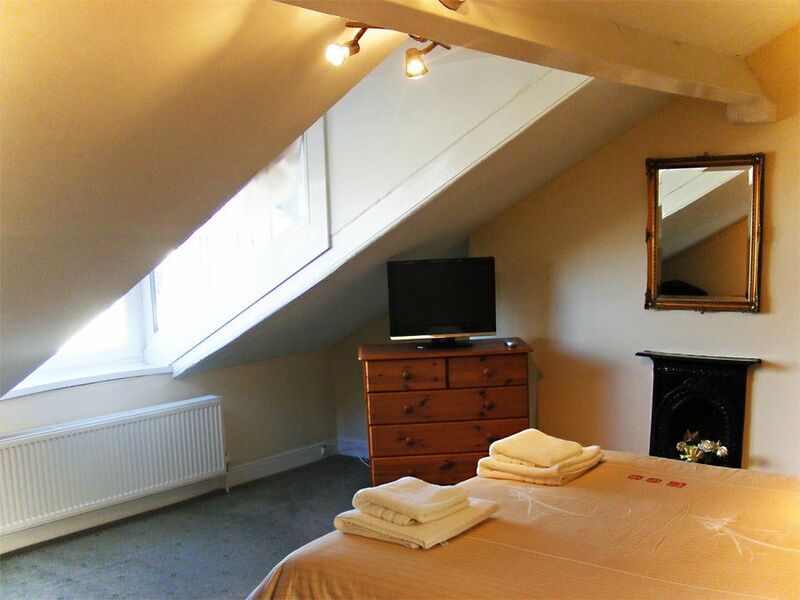 A wonderful place to stay	Great location right in the centre of town in Scarborough - just two minutes from the train station! The house was beautiful and an selection of biscuits and wine awaited us in our kitchen upon arrival. 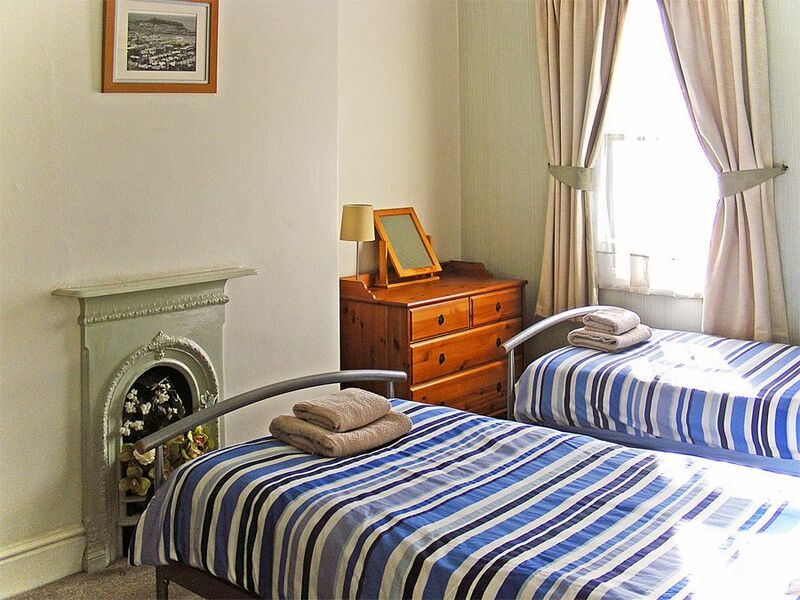 All rooms are spacious and the facilities are excellent! Great week at Castle View. 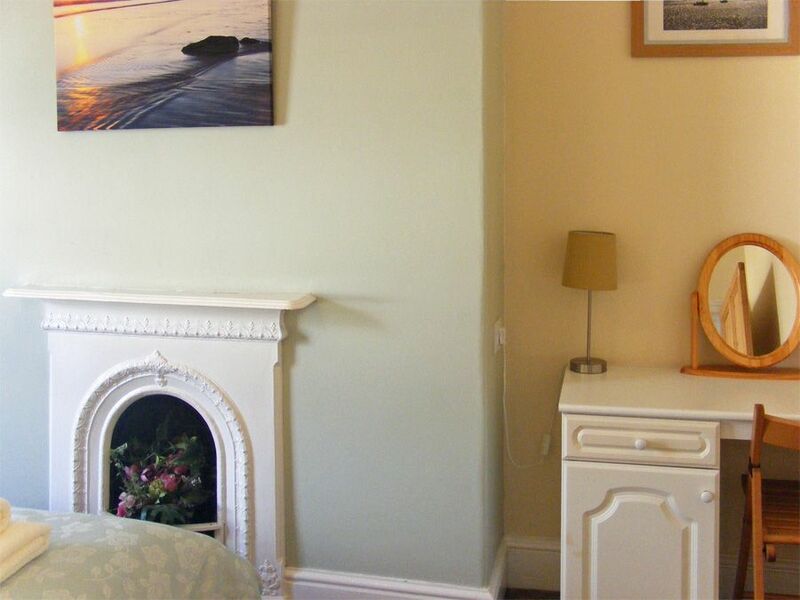 We would highly recommend this property for a family holiday in Scarborough. 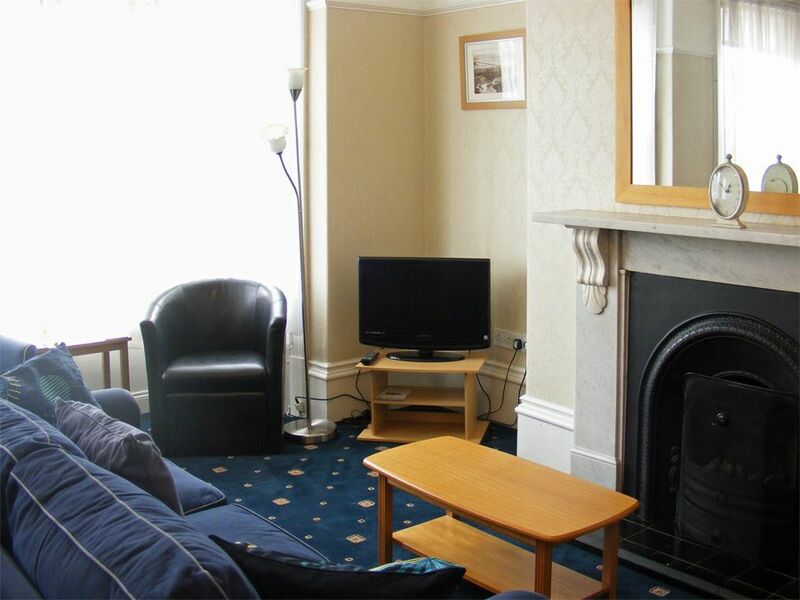 The property is ideally situated just a short walk from the Town Centre and sea front. 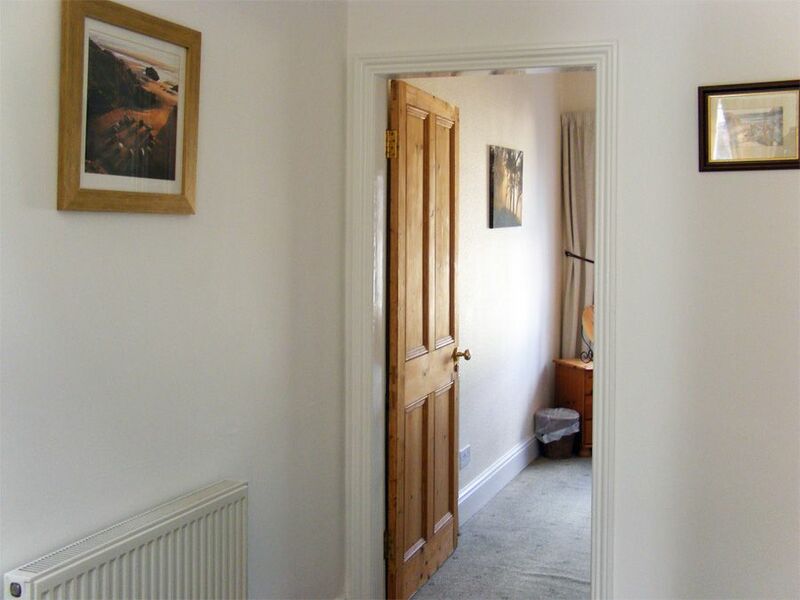 The property is welcoming, very spacious and well maintained. We will definitely stay again. Thank you to the property owners and to Bedwyn's .. always helpful and friendly. 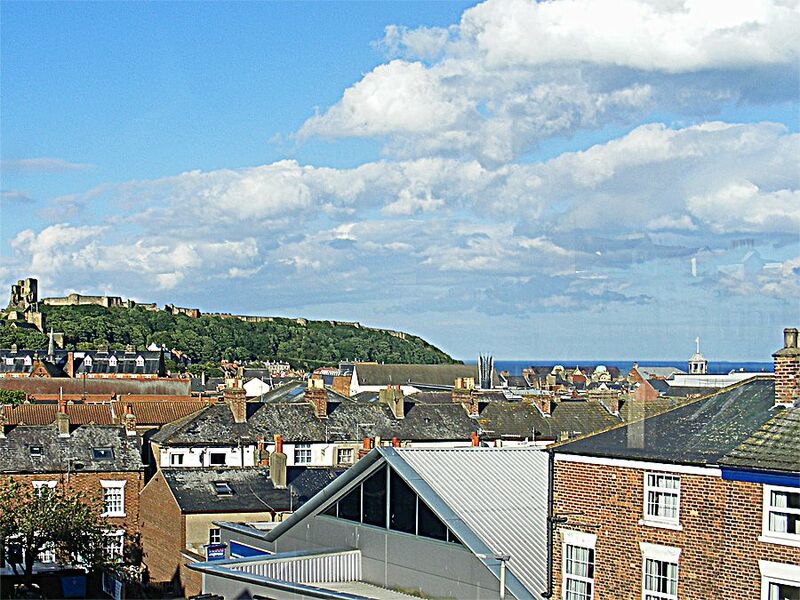 We have had yet another lovely family week at castle view, Scarborough ( our 4th time). Even the weather was kind this year! We have stayed here before. 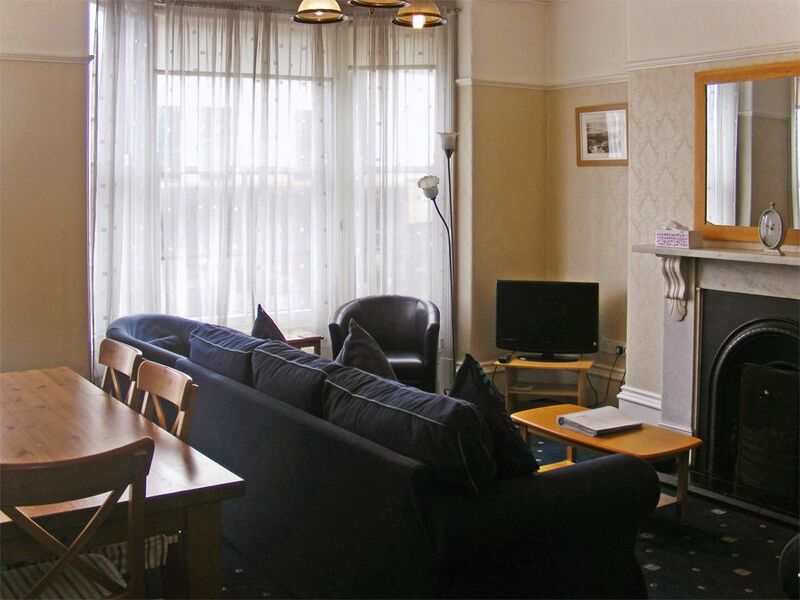 For our family it is a good size with lots of space, the flat is well placed for all facilities and although not right at the seaside it is well placed for both bays which is good.. there is a Tesco local across the road which is ideal and the kitchen has all the equipment you would need. Will definitely book again. 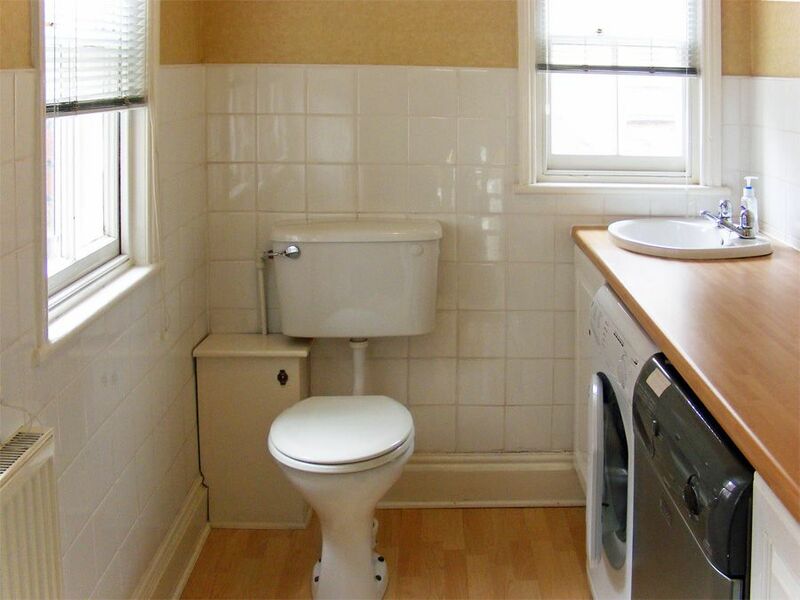 The utility room is great with a second toilet which is great when you have children.